This telescoping wand is for use with our hot and cold water pressure washers, with maximum temperature 195 degrees Fahrenheit and maximum pressure 3500 PSI. The wand extends from 6' to 24' and weighs 16 lbs. 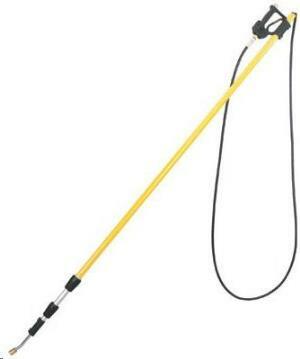 * Please call us for any questions on our pressure washer telescoping wand rentals in Hillsdale and Ridgewood NJ.